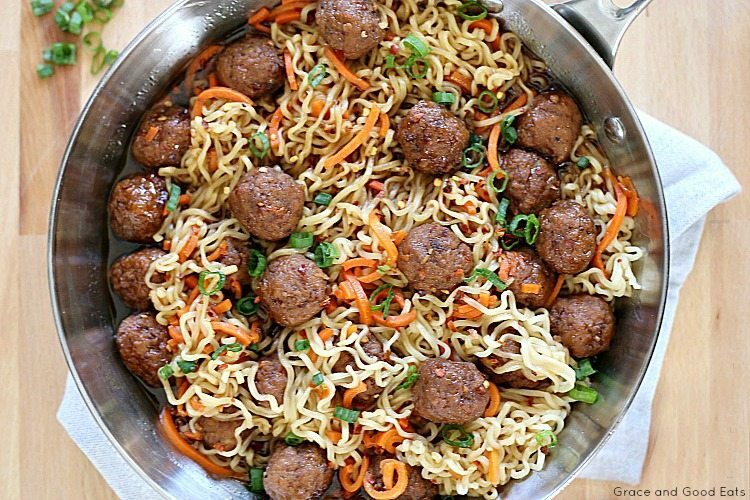 Beef Ramen Recipe with Meatballs – full of sweet and spicy flavors that is ready to go in under thirty minutes. 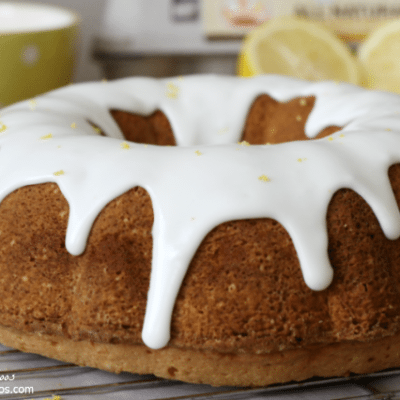 This post was sponsored by Green Giant as part of an Influencer Activation for Influence Central and all opinions expressed in my post are my own. We’ve had a crazy winter here in Texas these past few weeks- one day it will be below freezing and then two days later it will be 75 degrees. The flip-flop weather (plus wind and rain) has done a number on my allergies. It feels like months since we’ve all been well at the same time! I’ve been craving comfort food nonstop, like my White Chicken Chili Soup and this Instant Pot Chicken Noodle Soup, but we’re all ready for something new. This Beef Ramen Recipe with Meatballs was just the right amount of fresh, new flavors mixed with traditional comfort. A big bowl of ramen noodles is both of my girls favorite form of comfort food. What kind of beef is used for ramen? Ramen is extremely versatile and can be made with a variety of meats, broths, and toppings. When we were living in South Korea for a few months, James became obsessed with tonkotsu ramen with pork. 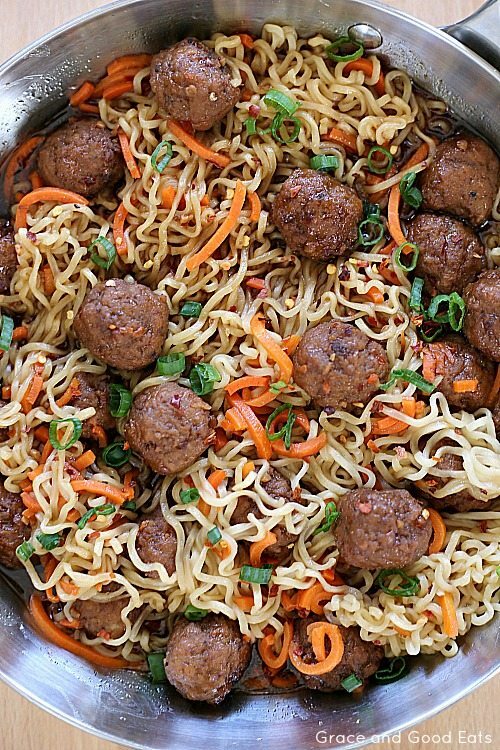 For this beef ramen recipe I decided to use frozen meatballs because I had some leftover from these Honey Chipotle Meatballs and I knew they would be delicious with the sweet and spicy broth made of soy sauce, ginger, and red pepper flakes. If you want to use fresh meat and boil it in the broth, I recommend flank steak, chuck roast, or brisket as the three best cuts for broth-based dishes like ramen or pho. 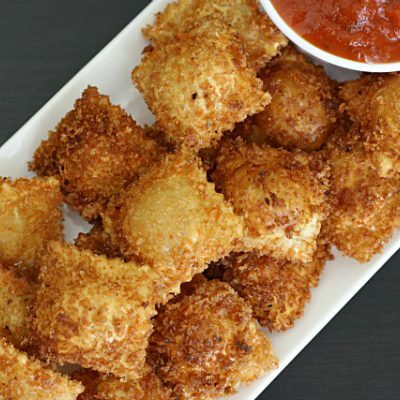 They are the perfect substitute for traditional pasta, naturally gluten-free, and come without sauce or seasoning so you can prepare them just the way you like. 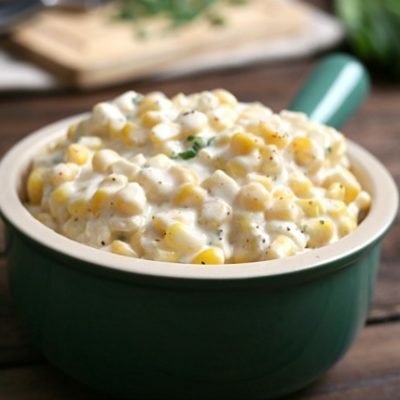 Serve them as an entrée or a side dish, or add them to soup. What noodles do you use for ramen? Well, ramen noodles. Ramen noodles (made from wheat) are thin, long, noodles than have a chewy bite when cooked. They differ from thicker noodles, like udon and soba, as well as from thinner rice noodles that you might find in pho. 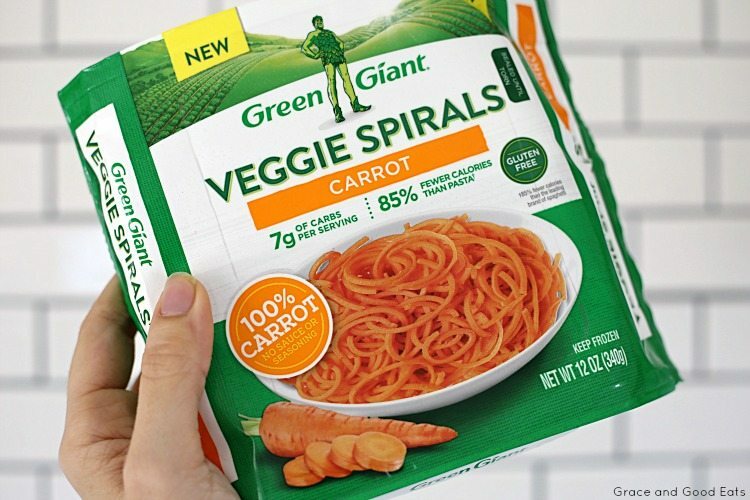 Green Giant® Veggie Spirals are A New Take On Noodles and they come in three varieties: carrot, butternut squash, and zucchini. The carrots were perfect for this Beef Ramen Recipe with Meatballs because they cook at the same time as the ramen noodles. (You can also cook them in the microwave.) 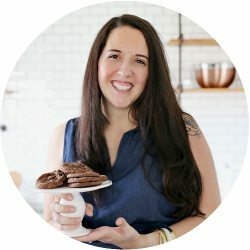 So easy and I don’t have to dirty any more kitchen tools to spiralize my own. Of course you could also fully omit the noodles for this recipe and use the Green Giant® Veggie Spirals instead. If you wanted to make this dish vegetarian you could swap the meatballs for mushrooms, toss in some snap peas and peppers, and use vegetable stock. What goes good in beef ramen? I add a cornstarch “slurry” to the sauce for this Beef Ramen Recipe with Meatballs to thicken it some. 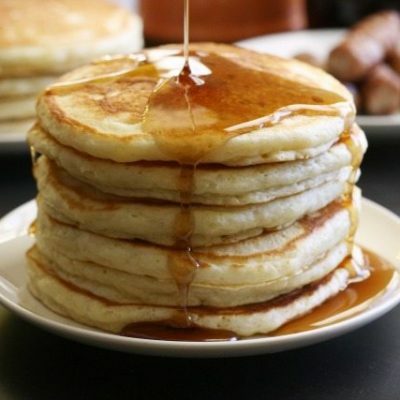 A cornstarch slurry is a mixture of a cold liquid with cornstarch. 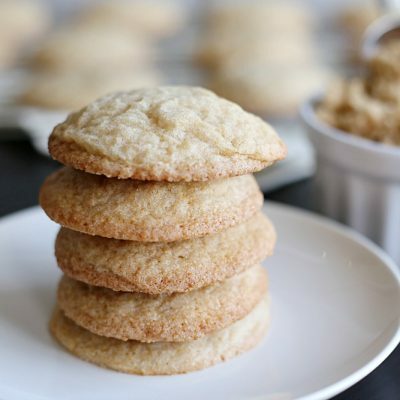 You can use flour in a pinch, but I recommend adding cornstarch to your baking cabinet arsenal. The important thing is to let it simmer for 1-2 minutes after adding it to the sauce, the slurry won’t work as well if you add it in and remove it from heat immediately. 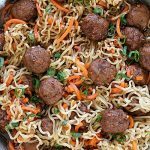 This Beef Ramen Recipe with Meatballs is an easy recipe full of sweet and spicy flavors that is ready to go in under thirty minutes. In a medium saucepan, mix all soy sauce, beef broth, garlic, ginger, brown sugar, and red pepper flakes. 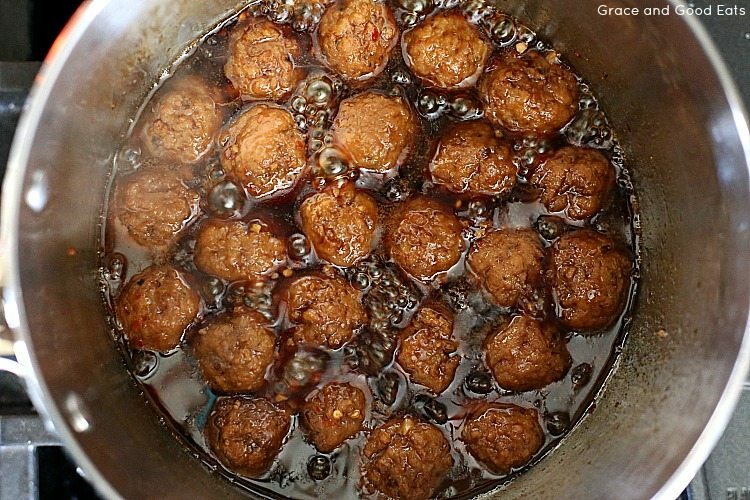 Once the meatballs are fully cooked and heated through, mix the cornstarch with water and stir into the sauce. Simmer 2 more minutes. 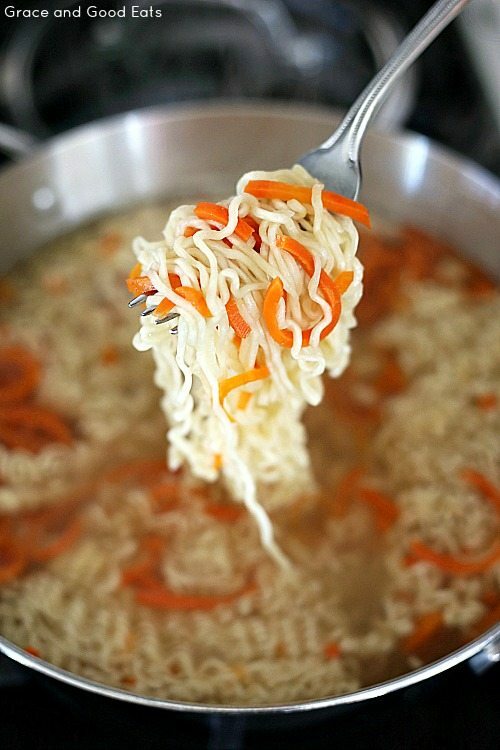 Boil water and cook Ramen noodles with the carrots for 2 minutes; drain and discard cooking water. Add the cooked noodles and carrots to the meatballs/sauce. Toss until all the noodles and vegetables are coated in sauce. Sprinkle with the green onions and more red pepper flakes.